This one's going to be pretty technical. You've been warned. Last year, creationists proposed a bunch of explanations for Homo naledi, with each major organization suggesting something different. 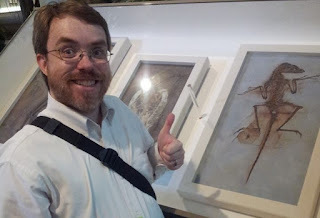 My own analysis was published in May, and I concluded that the baraminological analysis supported putting H. naledi in the human holobaramin. 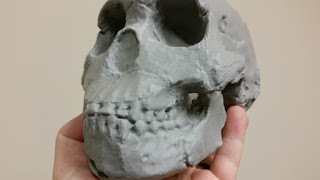 In the same issue of JCTSB, O'Micks did a separate baraminology study and found that H. naledi clustered with other members of Homo, so O'Micks concluded that it was probably part of the human holobaramin. OK, longsuffering readers, here at last are my top four science and creation stories of 2016. I'm not a physicist and don't fully understand why gravity waves are such a big deal, but I know a big story when I see it. The observation of gravity waves was hailed as the breakthrough of the year by Science. The story as I understand it goes like this: Einstein's theory of gravity, general relativity, suggested that waves of gravity (just like waves of water) might exist. Einstein himself was evidently undecided about whether they could be discovered, since it would take massive gravity sources in orbit of each other to observe them. In February, physicists at the Laser Interferometer Gravitational-Wave Observatory spotted waves coming from two black holes. This discovery was a big confirmation of Einstein's general relativity and might just launch a whole new science of studying gravity waves. That's no small accomplishment. In my previous post, I revealed the first part of my top twelve science and creation stories of 2016. Here, we'll look at the next four items. Sometimes I get a front row seat to evangelicals trying to convince other evangelicals that evolution is true. I've heard these presentations in person. I've read them on the web. I've seen them in books. One thing that repeatedly bugs me about them is the certainty with which they are presented. 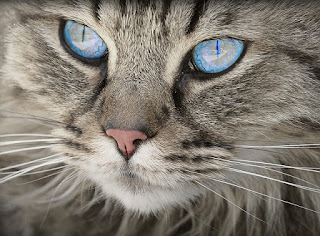 I've heard that there is no doubt about evolution. We can be absolutely sure about evolution. If you reject evolution, then you've rejected science itself and you have no integrity. Because we're SURE about evolution. Well, that's not true. There's always room for uncertainty. That's how science works. That's how it advances. There are always questions we don't have answers to, and there is always a possibility that even the most cherished theories will be overturned as new evidence comes to light. If things were completely settled, science would just stop, but it's not stopping. It keeps moving forward. Back in July of this year, I posted a brief note about news articles from Africa that described new hominin trackways found at the Laetoli footprint site. 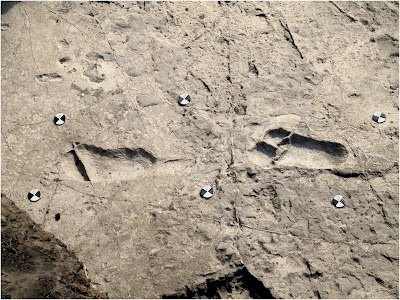 Yesterday, eLife (the journal that brought us the first reports of Homo naledi) published a paper by Masao and colleagues describing these new trackways. Just what is a dinosaur anyway? 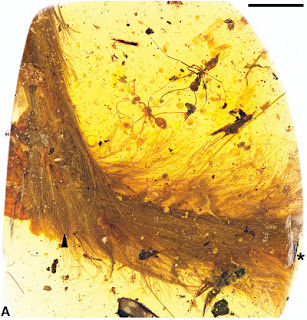 As expected, the discovery last week of a feathered dinosaur tail elicited some interesting responses. Overall, the reactions from creationist ministries were pretty close to what I expected: "It's not a dinosaur; it's a bird." You can read Frank Sherwin's thoughts at ICR or David Menton's take at AIG, and if you're so inclined, there's another unsigned piece over at ENV. On the other hand, Marcus Ross wrote a really detailed discussion where he agreed with me that the tail is probably not a bird. God made dinosaurs with BEAUTIFUL feathers! For some reason, feathered dinosaurs have become a touchy subject among creationists. 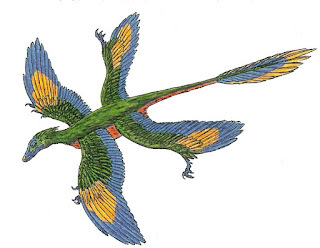 As far as I'm aware, the major creationist organizations still do not accept the existence of feathered dinosaurs. Either the fossils are not really dinosaurs and have real bird feathers, or the fossils are real dinosaurs but the feathers aren't really feathers, or it's all just a hoax. There is certainly precedent for being suspicious of feathered dinosaur fossils. Back in 1999, National Geographic ended up with egg on its face after it put Archaeoraptor on its front cover. Turns out, Archaeoraptor was a fraud, two different fossils stuck together by shady fossil dealers. Lab Meeting 3: Trillium Breakthrough! Science isn't always pretty. This is only the third "Lab Meeting" post I've done this semester. I was hoping to update a lot more often, but sometimes there are unforeseen problems that need to be ironed out and things slow down. This is definitely one of those occasions. 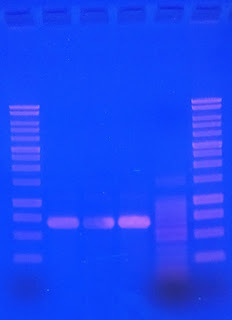 We've been hacking away at a baffling PCR problem for the last month or so, and we've only just resolved it. Classes are drawing to a close, and I've been busy this week finishing up my ICC abstracts. I've been working on a HUGE mammal created kinds project, which is turning out much better than I expected. I'm trying to do statistical analyses on every mammal group that I can get my hands on. I've done about 20% of them, which doesn't sound like much, but it's a big move forward for baraminology. As I was working on the ICC abstract this morning, I remembered that I ought to remind everyone that the deadline for CBS members to have the CBS pay for their submission fees is Monday. If you're a CBS member and you want to take advantage of this offer, you need to submit your abstract to the ICC then forward your submission receipt to the CBS. Get more details at the CBS website.